During this week, we have witnessed the renewal of an important line of Apple products. One that, although it only differs in its color from the rest, can reach a great difference. We speak of the Product line (RED), a range of solidarity products that contribute to bringing closer and closer the end of HIV and AIDS worldwide, with special attention in the underdeveloped countries, which these days have received in their arms the iPhone 8 and 8 Plus . 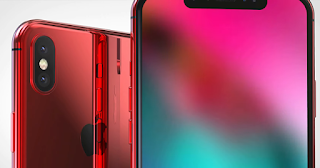 However, not everyone is happy, given that this year they have left the iPhone X uncovered from this spectacular red. Something that has hurt all users, since it could give the last Apple phone the passion it needs to take over the market. Even so, that has not prevented the imagination of the community from beginning to fly, trying to discover a near future in which this may occur. Although with some other change. The change we are talking about, would be the inclusion of a possible iPhone X Plus in the catalog, something that we have already talked about in the past. Of course, it would be great to be able to see a wider version of the iPhone X, with such a powerful red on its body, especially in the shiny steel frame. As you can see in the videos of the concept that you can see in this article, it would be a fantastic option. In any case, we are talking not only of a new color, but also of a new model that we do not know anything about, even if it really exists. For now, the wisest thing is to wait, or take a look at the iPhone 8 (RED), which you can already get from the Apple Store, and that will surely help a great cause .